The heads of state of the 54 African Union member states recently adopted the Africa Scorecard on Domestic Financing for Health. The Africa Scorecard provides a new health financing management tool for African governments to manage domestic health spending performance against key health financing benchmarks and against each other. There is just over a week left until the Global Funds Fifth Replenishment Conference. This articles provides a round-up of the latest developments. The U.S. has pledged up to $4.3 billion; in the last replenishment, it contributed $4.1 billion. With just a week to go to its Fifth Replenishment Conference, the Global Fund has released more results. It estimates that programs the Fund has supported have already saved 20 million lives, and that this number should grow to 22 million by the end of 2016. Two items in the latest report of the Grant Approvals Committee remind us that there are still gaps in transparency at the Global Fund, David Garmaise says. A number of agencies have come together to launch UHC in Africa: A Framework for Africa. The Global Fund committed $9 billion, though this is not new money and it is contingent on the Fund reaching its $13 billion replenishment target. The Global Fund is working towards removing salary top-ups paid as incentives to workers who help implement its programs, but in some countries this has been more challenging than expected. The organisation wants the payments stopped as one way of getting national governments to take full ownership of their health systems. Finding a way of removing these payments without affecting programs implementation has not been easy. Ukraine stands to lose $27 million of its 2014-2016 allocation if it does not live up to its commitment to take over responsibility for funding methadone substitution therapy. The commitment was included as a condition in Ukraine’s TB/HIV grant agreements. From February 2016 to March 2017, the Global Fund is embarking on a Strategic Actions for Gender Equality Initiative. The initiative will lay the foundation for the Fund’s enhanced focus on gender equality in its 2017-2022 strategy. New website in EECA provides information in Russian related to Global Fund policies, funded programs, etc. An innovative new website gives communities and their representatives access to more information about the Global Fund in Russian. Meanwhile, the Eurasian Harm Reduction Network has released a video on the ladder of citizen participation. The Global Fund Board has approved $205 million for 14 country and four regional grants. This article provides a breakdown. It also describes the domestic financing commitments from countries submitting disease-related concept notes. 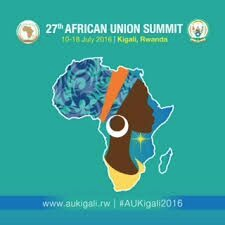 (AU) member states at the 27th AU Summit in Rwanda on 17 July 2016. The Africa Scorecard on Domestic Financing for Health is a health financing management tool for governments on the African continent. It is intended to help with financial planning for the health sector and with monitoring government domestic health spending performance against key global and regional health financing benchmarks. It is also intended to help governments compare their performance with each other. 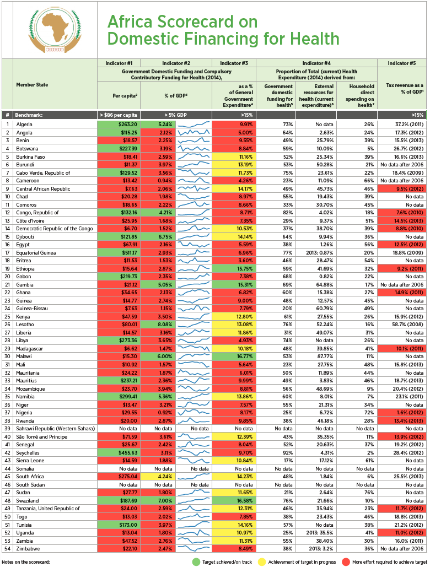 The 54 countries of the African Union will report annually on their domestic health financing performance, with the African Union Commission using this data to publish the Africa Scorecard each year. third, to provide the data to show how realistic it is for countries to increase domestic financing responsibilities – supporting the argument for donors remaining committed to their pledges in under-developed countries and for middle-income countries to increase their domestic contributions in accordance with ability to pay, so that the right amount of money is spent in the right countries on the right priorities. Africa is responding proactively to a changing environment – Donor financing for health has plateaued since 2007 and declined in 2015 for the first time in five years (see GFO article). The call for increased domestic investment and the tracking of domestic financing for health through the Africa Scorecard forms part of Africa’s proactive response to the challenge of dwindling and unpredictable development assistance. Africa is improving its capabilities – Countries will now track and report on important strategic indicators annually and present domestic performance against these indicators for discussion by their peers. In accordance with the Paris Declaration (2005), the Accra Agenda for Action (2008), and the Busan Partnership (2011) principles, the process will invest in and strengthen Africa’s existing country health systems and health financing capabilities to generate the necessary health financing performance data. In addition, all AU member states will conduct National Health Accounts (NHAs) annually and will upgrade their systems to adopt the latest World Health Organization (WHO) NHA methodology (NHA 2011). The WHO will support countries to conduct NHAs (annually) and will validate the data. Finally, AU member states are committed to ensuring that the WHO receives the resources necessary to provide this support at the continental level, using donor resources where necessary. Health financing data globally is notoriously poor and difficult to track. The best methodology available is the WHO’s system of NHAs. This methodology, however, is fraught with challenges. These include being unable to distinguish between domestic funds and on-budget donor support, or to comprehensively track donor funding. The data is also compromised by having to rely on estimates made on the basis of outdated data due to countries not conducting NHAs regularly. The first iteration of the Africa Scorecard has been released by AU member states in the full knowledge that the data is far from accurate due to these limitations. To overcome these challenges for future iterations, the AU has partnered with the health financing unit of the WHO to formulate the indicators that make up the Africa Scorecard. The WHO are also revising the NHA accounting methodology to address some of these shortcomings. Finally, member states have committed to adopt the latest NHA methodology and to conduct an NHA every year in order to generate, over time, reliable and comparable health financing data. How much should countries spend on health? If the Africa Scorecard is to provide a health financing management tool, then it needs to provide guidance as to how much countries should spend on health. While a number of commissions have suggested broad targets, there is no consensus as to how much (per capita or otherwise) countries should invest in health. The AU has intended that the 2001 Abuja Declaration target – that AU member states allocate 15% of their government budget to health – provide such guidance. However, measuring performance against the Abuja target is difficult and the target seems inadequate on its own. By way of example, Malawi spent more than 16% of its government budget on health in 2014, meeting the target, and yet this amounts to spending just over $15 per capita on health. Such an amount is insufficient to provide a comprehensive package of health services. Rather than determine a single benchmark, the Africa Scorecard chooses to provide guidance by tracking AU member state health spending against a target similar to the Abuja Declaration target (health spending as a % of government spending [rather than budget]) as well as against three established global per capita benchmarks (inflated to 2012 USD): the WHO-led Commission on Macroeconomics and Health (CMH) in 2001, the High Level Taskforce on Innovative International Financing for Health Systems (HLTF) in 2005 and revisited in 2009, and a Chatham House study conducted by Di McIntyre and Filip Meheus in 2014. The last of these benchmarks also tracks health spending performance as a percentage of GDP. Finally, although not indicated in this inaugural iteration, from 2017 the Africa Scorecard will incorporate performance against a new per capita health financing benchmark (disaggregated by region and income status) that the WHO will release in early 2017. Paul Booth developed the Africa Scorecard on Domestic Financing for Health on behalf of the African Union. After 10 years working on HIV and TB globally, Paul has recently completed a Masters’ degree in Public Policy at Oxford’s Blavatnik School of Government. He lives between Oxford and Johannesburg and can be reached at PaulRichardBooth@Gmail.com.